What is the effect of sin on the heart? SHAFAQNA – Regarding sins, there is a narration which says: When at the beginning, the human being commits one sin; a black spot appears in his/her heart. Then as he/she does not repent and continue committing sins, this spot is spread and covers the whole of the heart, and the heart becomes black. And the heart is overturned. 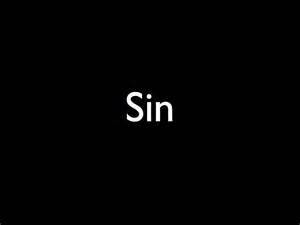 Many sins cause the heart to become cruel. It is narrated from Imam Ali (AS) who said: The hearts do not become hard unless by committing many sins . The effect of sin on the heart of a believing human being is that the heart is overturned and that Divine Characteristic which was in the heart is destroyed, and it turns into another shape; meaning turns into animal . Wasa’elul Shia, Vol. 16, Page 45. Akhlaq-e-Rabbani, Ayatollah Sheikh Mojtaba Tehrani (RA), Vol. 8, Page 176.
https://en.shafaqna.com/wp-content/uploads/2019/04/sin.jpg 225 300 hamrang https://en.shafaqna.com/wp-content/uploads/2018/10/new-logo-s-en-fine.png hamrang2019-04-16 10:22:322019-04-16 10:22:32What is the effect of sin on the heart?